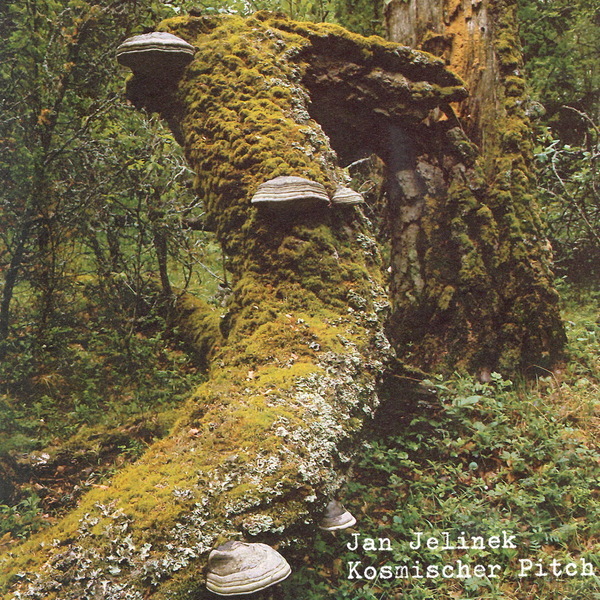 The fabulous Jan Jelinek's third solo release on ~scape is now re-released through his own Faitiche label; 'Kosmischer Pitch'. With a sound that is broadly comparable to his own 'La Nouvelle Pauvrete', Jelinek has made a significant move from the crackling lint of 'Loop Finding Jazz Records' whilst managing to retain that special something which made it so damn irresistible. Opening with ' Universal Band Silhouette', Jelinek's time collaborating with Antipodean jazz-boys Triosk is startlingly clear; as a mealy and much worn sample is incrementally layered upon by live instrumentation and thrumming intent - a sound which can't help but recall the more dark-hearted corners of Ennio Morricone's back catalogue. Similarly, both 'Lemminge Und Lurchen Inc.' and 'Vibraphonspulen' inhabit an illiberal and sequestered aural region where a hushed rectitude is favoured over unnecessary bombast, leading to a deliciously crumbly sound that expertly blends love-worn vinyl samples with a keen and instinctive song writing talent. Elsewhere, Jelinek's obvious reverence for La Monte Young's minimalist compositions and William Basinski's sprawling diffusion come to the fore on the closing blush of 'Morphing Leadgitarre Rückwärts', whilst 'I'm Discodickicht' draws upon the good old Radiophonic Workshop for inspiration. Deep, introverted music for the middle of the night.